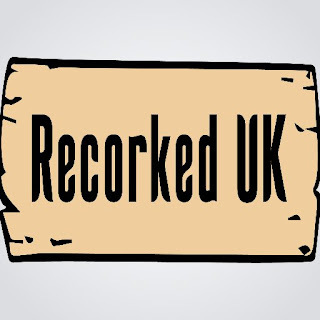 Recorked UK was a company that I recently came across on Twitter and I feel like I have to share their site. They are the UK’s leading natural wine cork recycling program. I personally think that is such a great idea! Especially in my family (I'm personally tea-total), we go through a lot of wine bottles and champagne or prosecco at Christmas time and it's so nice to know that there is an option to recycle them. The company partners with establishments all over the UK, who join them as collection partners. This can be anything from pubs, bars, hotels, ect. In fact the one closest me is a farm shop! They have a handy map available on their site to see where is your closest drop off location and then you simply donate the corks you no longer have a use for and they resell them to people who want them. As a growing company, they are actively seeking other locations from around the UK to act as Collection Partners. The process to sign up is simple and more information can be found here. When I looked into the company a little further, I realised that they also do a great job at giving back to the community and supporting charities. For every cork collected, they donate a % of their profits to nominated charities (I'll have to check how they nominate them!). Currently, FRANK Water is the chosen partner. They also supply free corks to other charities and even schools that request them for use in craft projects or for their own charitable goals. For me, the three R's are incredibly important to consider in the current world and society. I'm only really aware of the UK's stance on things but I do think we have made some progress recently: the plastic bag tax for one. Reducing waste, recycling materials and reusing products is a wonderful mindset to have. I think it's such a great company and one that I am more than happy to support! Corks can be used for so many cheap and easy crafting projects. Stay tuned for my ideas coming soon! I also made a Cork Christmas Wreath you can find here! In the meantime, or if you aren't very crafty, Recorked UK also has a selection of products, already made, available to purchase. How amazing is this company!? I love supporting those striving to better the world.